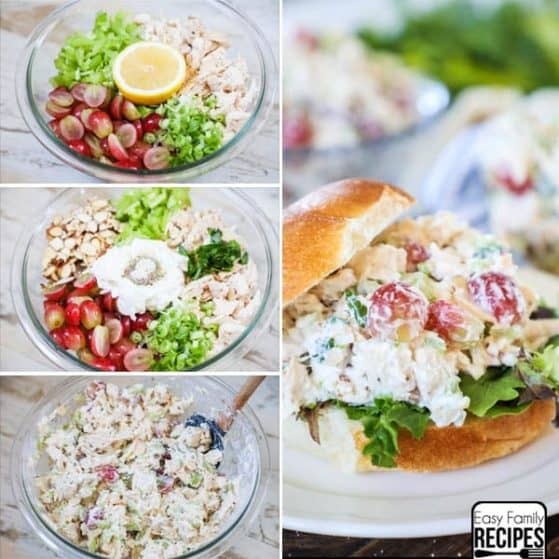 This chickpea salad is perfect for a side dish OR a delicious meal. 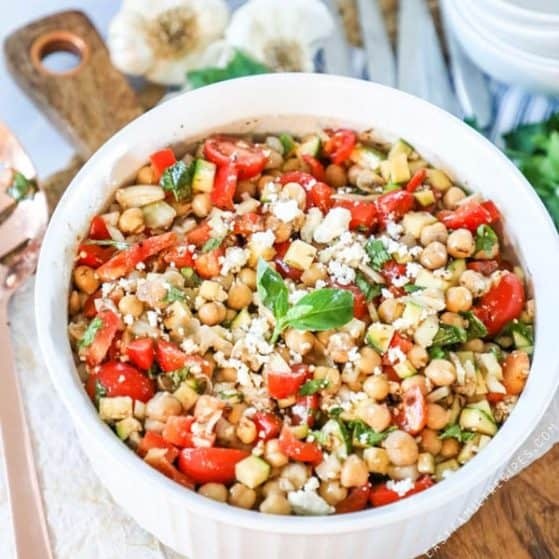 It is packed full of flavors and loaded with garbanzo beans, zucchini, pepper, tomatoes and toped with feta cheese. Mediterranean chickpea salad is a perfect appetizer or salad course, or can be eaten alone in a larger portion to make a great main dish. Make it for a summer lunch, a neighborhood barbecue, brunch, or dinner party, this crowd favorite is perfectly suited for casual to formal. I really really love chickpea salad, and my kids do too. They love garbanzo beans by themselves, in hummus, and especially in this delicious salad packed with Mediterranean flavors. This salad is super simple to make, once all of the chopping is done it comes together in minutes. You can change this salad up a bit to fit ingredients that suit your taste preferences or that you already have on hand. This salad is one of those that is even more delicious the second day, because the flavors have marinated over night. This is a perfect salad for meal prepping for the week since it keeps exceptionally well in the fridge. The big bonus is this salad is also gluten free and loaded with protein from the chickpeas. Side salad- Since this is a heartier salad, a green side salad is a great and light compliment! Use one or add a few! This should get you started on a great easy and delicious meal! If you have another favorite way to serve this, let me know in the comments. I would love to try it out next time I make it! This Mediterranean Chickpea salad is super quick and easy to make. I am going to run through an overview here and add some notes that might be helpful for you while making the dish. Make sure to get the FULL recipe at the bottom. Combine all the ingredients except the salad dressing in a large bowl. I prefer to use canned garbanzo beans in this salad both for ease and convenience! Make sure you drain and rinse them well, then shake off as much moisture as you can. No need to dry them though. The veggies included in this salad are the ones I recommend, but you can also substitute or add other veggies for your families preferences and dietary needs. Other veggies that go well in this salad are chopped cucumber, chopped squash, carrot shreds, fresh chopped spinach, sweet green peas, etc. If you don’t have cherry tomatoes, regular tomatoes can be chopped and used. I prefer cherry tomatoes because they tend to be sweeter which compliments the tanginess of the salad well. Next, pour the dressing over top and toss everything to coat. Stir in the basil to finish! I HIGHLY recommend you use my homemade balsamic dressing for this salad. The dressing is what really takes all of the flavors and marries them. The best flavored dressing makes the BEST tasting salad! If you are in a pinch, you can use a store bought balsamic vinaigrette, but if you have just 5 extra minutes, the homemade dressing is so worth it! Let the salad rest for 10+ minutes in the refrigerator and toss again before you serve. I really like to let the salad rest as long as I can. 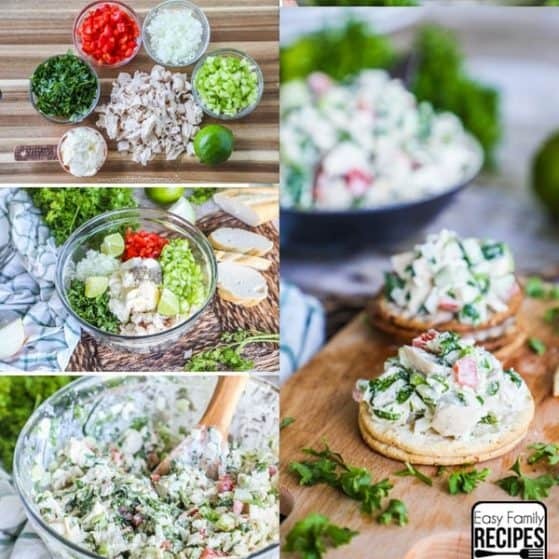 This salad is perfect to make the night before or in the morning of the day you will use it so it can get several hours to marinate in the fridge which will make the flavor even better! This recipe is packed with good for you foods! It is also naturally gluten free. Be sure to use my homemade Balsamic Vinaigrette if you are gluten free. Also, we always recommend checking labels on the exact brands you buy to ensure they are gluten free as well. You can leave the feta cheese out of this salad for a dairy free version of the salad. It is still delicious! You can also prep your salads for the whole week by preparing the salad and storing it in an airtight container. This makes for easy on the go lunches. You can store this for up to 3-5 days in the refrigerator. 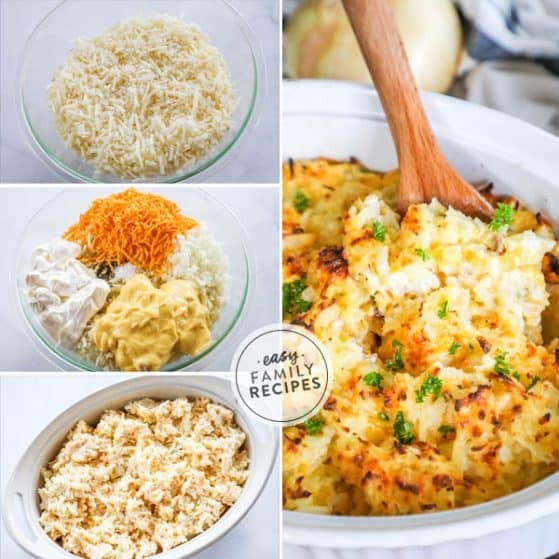 I really hope that you enjoy this recipe as much as we do in our house! 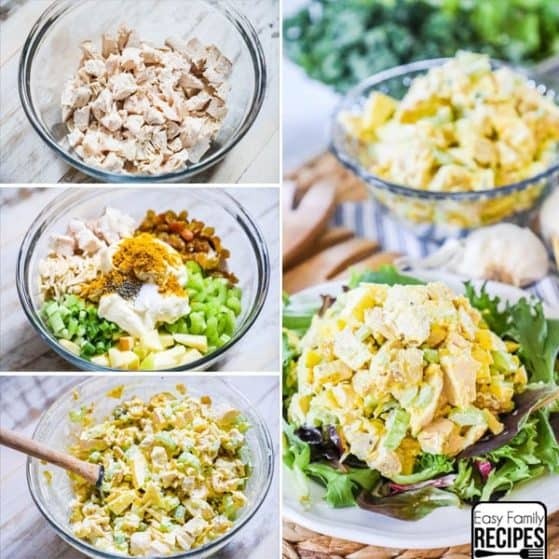 If your family does not like some of the ingredients in this salad, switch it up with ingredients they do like. 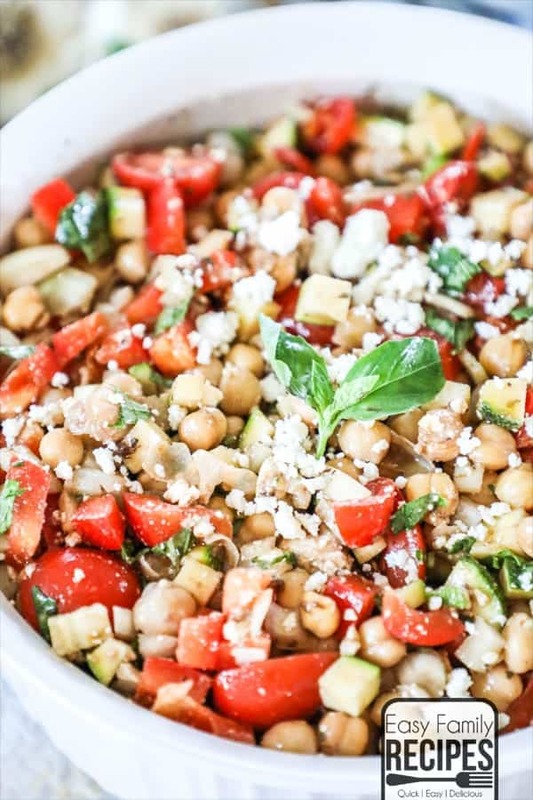 This Mediterranean Chickpea Salad is a delicious light and healthy salad that is absolutely packed with flavor! You can eat it as a meal, or serve it as a side, or use it for meal prep since it saves beautifully in the refrigerator! In a large bowl, combine all ingredients except salad dressing and basil and stir to combine. Add the basil and drizzle dressing over the salad and toss to evenly coat. Let rest in the refrigerator for at least 10-15 minutes or until you are ready to serve. Toss well before serving. Enjoy! This recipe is naturally gluten free and high in protein. You can omit the feta cheese for a dairy free version of this salad.